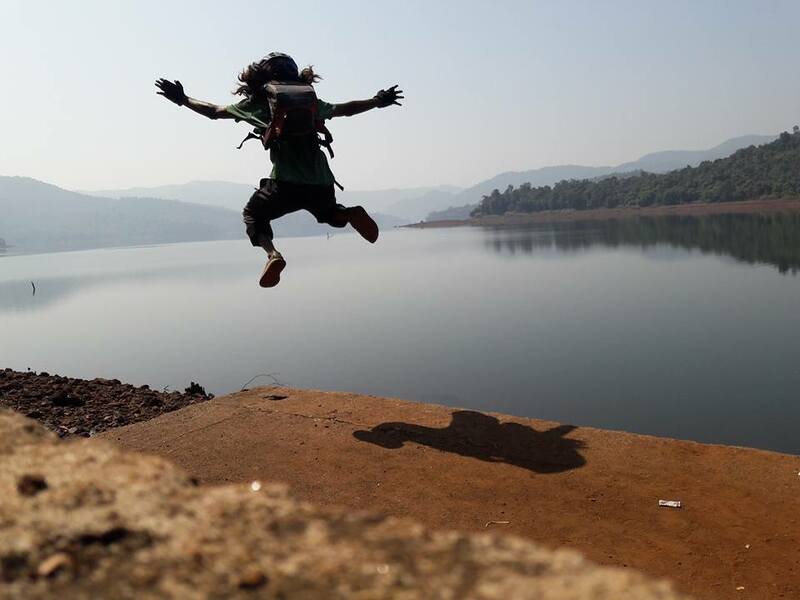 An expedition along the length and breadth of the 7th largest country, India. An attempt to explore the mammoth country on a cycle. How does someone in a tech job, in an urban city one day decide to travel 20000 kilometers on two wheels and a frame? We at Lumos, live vicarously through the bags we sell. Whenever we ship out a backpack, we’re excited about the exotic places it will go, the adventures it will have. We imagine it adventuring down a mountainside, or soaking up some serious sun-watts – which is why we aptly named it ‘Thrill Seeker’. A couple of weeks ago, Mohammed Izhaar brought us his grimy, beat-up Thrillseeker – newly returned from a Twenty Thousand kilometer trip across India. We were ecstatic to see a bag so lovingly used, and abused – covered with the dust of half a country, and steeped in experiences the average person can merely dream of having. We launched straightaway into the topic we were most curious about. I have a background in tech, having worked with HCL for three years, after which I joined a core mechanical company. 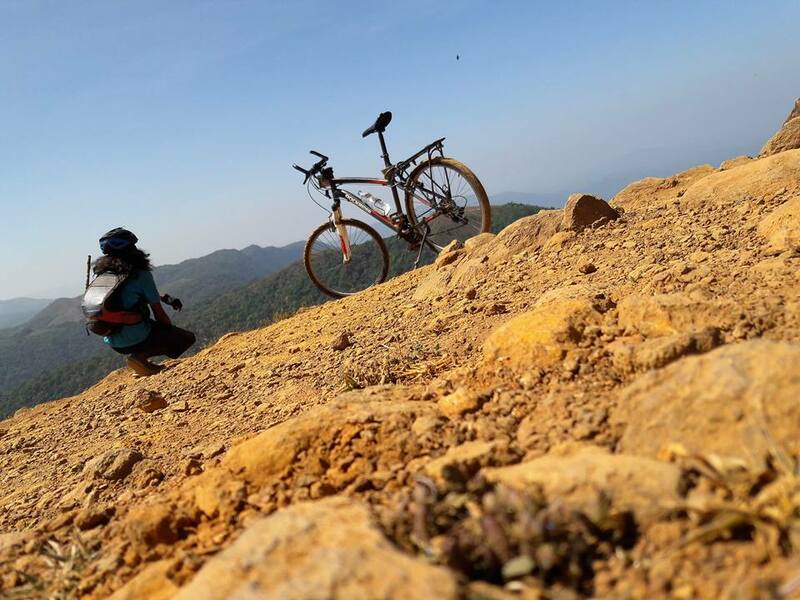 It was around that time that I read about Arcot Nagraj, who serviced his old bicycle and hopped on it to embark on a journey across the country, traversing 14,197.55 kilometres in 135 days. I was inspired by his story and experiences, and I wanted to see Leh as well. I had ridden around 16000 kms – mostly spanning weekend rides- over the previous two years, so cycling itself was not new to me. I decided I needed a break. Initially, I managed to get a sabbatical leave from my company, but it was cancelled, and I had to make a tough decision. So I made it. I resigned from my job and went on my adventure across the country. Mohammed began his journey on March 2016, on his birthday. He worked his way south through Kerala, through the bottom most points of Tamil Nadu, before heading North via Andhra Pradesh. He mentions being quite terrified by the enormity of the journey he was about to undertake. 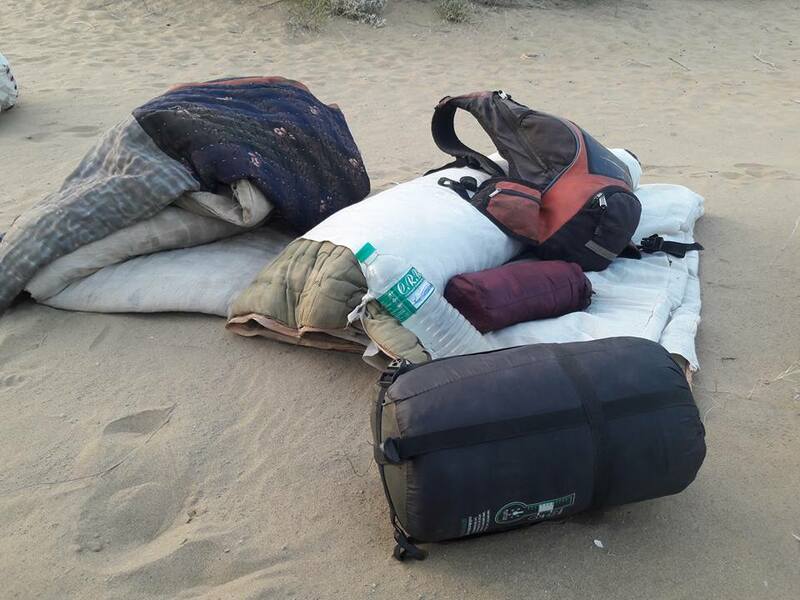 A friend rode out with him from Bangalore to Kanyakumari, and within the first 20-25 days, he grew acclimatised to his nomadic lifestyle. 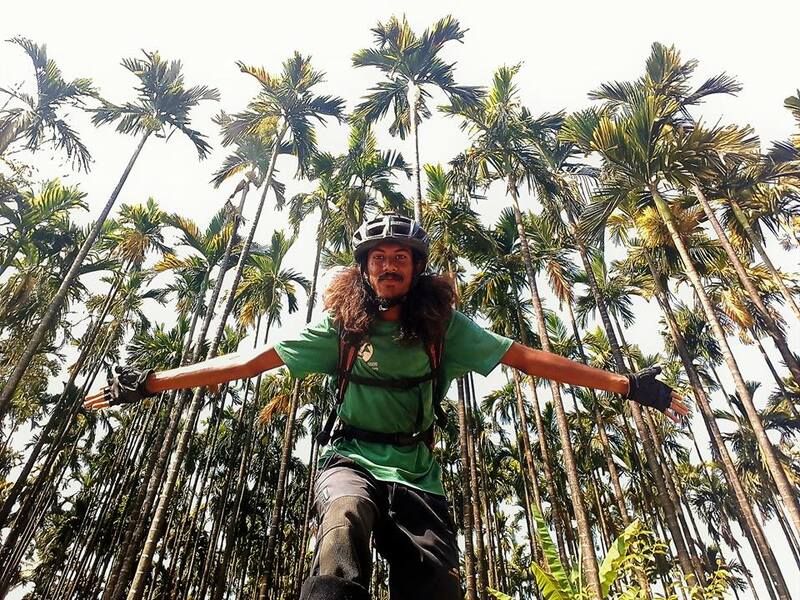 Izhaar would try to get in approximately 70 kilometers of riding a day, with a loosely bound schedule that left him plenty of time to explore smaller places and ride off the beaten track. He mentions having a tough time riding in Southern India in summer, where he rode before 11am and then after 3PM because of the sun. Not all his experiences were pleasant though. His daily posts on Facebook during the ride mention some fairly hair-raising experiences, from being hassled by dim-witted local thugs, to angry wives of temple-priests. 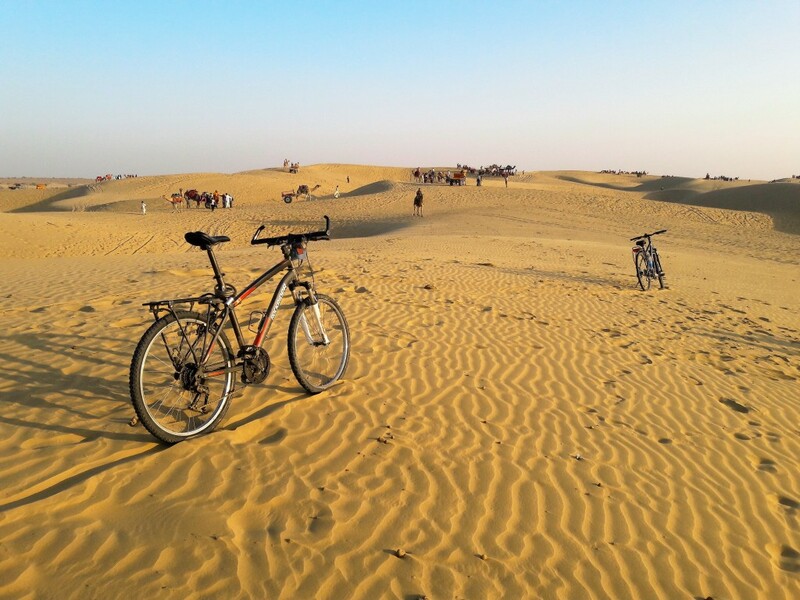 On the bike front, he tell us that his journey was overall ‘quite incident-free, other than the occasional puncture once every thousand kilometers and a few bike niggles such as a broken spoke’. Did you miss having company? When I rode from bangalore to Kanyakumari, I was accompanied by a friend. For short stretches throughout the journey, I had a Brazilian, South Korean, Slovenian couple, and Mumbai rider join me. So how did you stumble upon Lumos and our Solar bags? I was looking for a Solar Backpack online, since I knew that I’d be spending a lot of time off the grid. I just checked reviews online and bought it. On the journey, I rode with the backpack on my back, and the rest of my possessions in my Pannier bags. 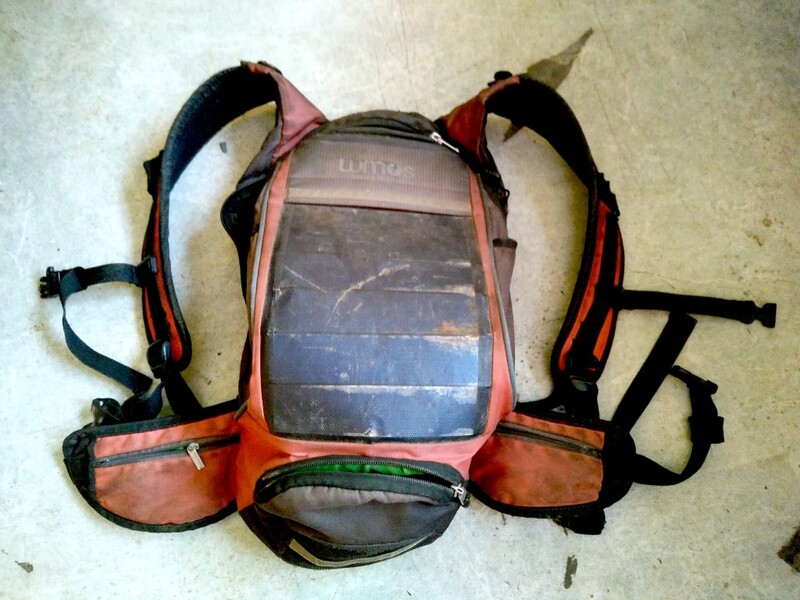 That orange Thrillseeker bag was my constant companion over 10 months and 20000 kms. It carried my most important possessions – Camera, wallet, Money, ID cards- and was almost like a second skin. I don’t think there are any pictures of mine without it except underwater. I put it thru’ hell, and still it lasted a while in ten months of southern heat, northern cold, a glacier, treacherous forest treks, torrential rains of East and a desert of West. Sure it looks like a rag now, but it was my prized possession. I never had to worry about my phone phones running out of charge, till just a month back it’s USB outlet broke. Its runners/zippers gave up, but I didn’t have the heart to give up on it. How did the charging work across all these different climatic conditions? From when I left Bangalore, until I reached Sikkim, I was entirely dependent on Solar Charge, along with a top-up charge whenever I stayed at a lodge. After Sikkim, it was raining, etc, so the charge was less reliable. I ran on “Airplane” mode, to save battery whenever necessary. What was your favourite feature in ThrillSeeker (apart from Solar Charging)? I just loved the way the bag fit on my back without shaking. This was very important, given that I was riding over all different terrain. What would you want us to improve in ThrillSeeker? I’d like Something to keep Water bottle separately. Because I stored my camera in my bag, I didn’t want to have the bladder in the Backpack.